Sunday, March 6th, 2016 at 11:45 am Rosen Theatre , 92nd St Y, Wayne, NJ Tali Roth plays a solo recital as a part of the series “Back Stage at the Y”. Composers and lives include Gardel ( el dia que me qiueras),Regondi(Reverie), Pipo, Rodrigo, Medina, Gerardo Matos Rodríguez and more. September 12th, 2015, 7:30 pm Les Corrales, New Mexico Tali Roth Plays a Solo Recital in Concert Series “Music in Corrales”. Saturday, May 31st, 2014 at 8:00 PM Frank Sinatra School of the Arts in, Astoria, NY Tali Roth with American Bolero Dance Company’s new and fully staged signature production entitled “Retrospectiva”Playing music by Tàrrega, Boccherini, Albeniz. Wall, NJ 07719 As part of New Jersey Music Educators Association (NJMEA) Guitar Festival (formerly Wall Guitar Festival)- Tali Roth plays a solo recital at NJMEA Festival (formally Wall Guitar Festival). Pieces by J.S. Bach-D minor Chaconne, Rodrigo-invocation and Dance Albeniz -Rumores de la Caleta and Pipo- Cancion y Danza. Tuesday, February 25th, 2014 Pelican Cove Music Center, Florida Tali Roth in Recital with Grammy winning flutist Carol Wincenc. Pieces by Piazzola- Histoire du Tango, Coulanges-Nan Fon Bwa, J.S.Bach - Prelude y Fugue, Boehm - Ael Cor Piu. February15th 2014 at 7:30 PM Les Corrales, New Mexico Tali Roth plays a solo recital in concert series “Music in Corrales”. Friday , July 26th 2013 at 9:30 PM Narni , Italy-Grand Tetaro Communale Tali Roth with Narnia String Quintet and Silvia Duran group dancer- Ginat Kalid plays an evening “Alma Espanola.” Pieces by Rodrigo (Concierto Aranjuez), Gimenes- La Boda de Luis Alonso, Lorca- Sevillanas, Cafe de Cinitas, Malguena-Medina, Albeniz-Asturias, Granados- Goeyescas. Thursday, July 18th 2013 at 9:30 PM Narni , Italy-Grand Tetaro Communale Tali Roth plays at Narnia Festival “Romantic Night” with Flutist Nora lee Garcia pieces by Bonfa-Manha de Carnival, A.Coulanges and A.Ramirez- Alfonsina y el Mar. Wed, March 6th at 6PM Consulate General of Argentina, NYC Tali Roth performs her own arrangements of Piazzolla’s Adios Nonio, Milonga del Angel and Liebertango ,in the opening concert for Opera hispanica week. Works by Binelli, Manzini, Piazzolla, Villodo, Bardi, Rodriguez. Tali Roth in recital with Grammy Winner Flutist Carol Wincenc. Special Guests - NY Philharmonic violinist- Yulia Ziskel, The Juilliard School Pre-College Guitar Ensemble. Friday, July 19th, 2012 at 9:30 PM Teatro Comunale di Narni – Narni , Italy Tali Roth in concert of ‘Spanish Night’- solo and duo performances with Carol Wincenc- Flutist , Cristiana Pegorero- Pianist and Narnia Festival String Quartet as a part of Narnia Festival. Music by Gessec, Boccherini, Ravel, Ibert, Medina, Albeniz, De Falla. Thursday, July 12th, 2012 at 9:30 PM Narnia Arts Academy -Narni , Italy Tali Roth in Concert ‘From Bach to Piazzolla’- Solo and chamber works with Carol Wincenc-flutist. Music by J.S.Bach, Piazzolla, Reiss. Tali Roth with Yulia Ziskel- NY Phil violinst in a recital of duo and solo works. Works by Paganini, J.S.Bach, De- Falla, Bonfa, Sarasate, Piazzolla, Albeniz. 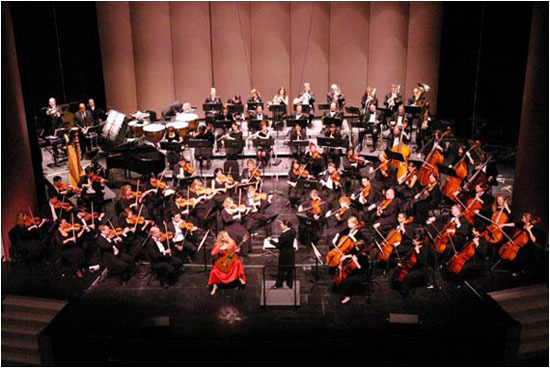 Wednesday, March 20th, 2012 at 4:30-5:30/6:00-7:00 PM Calvinho Studio, Kitty Hawk, North Carolina 2 outrech lecture/concerts of students outreach concerts. Tuesday, February 21st, 2012 at 8 PM Pelican Cove Performance Center, Pelican Cove RD Sarasota, FL Tali Roth with Flutist Carol Wincenc plays a duo recital. Pieces by- Ravel, Gossec, Amos Coulanges, Bonfa, J.S.Bach, Jobim. Shcubert, Piazzolla. Solo works for guitar/flute by, Albeniz, Piazzolla, Debussy, Joan Tower. Monday, February 20th, 2012 at 10:30 AM Orchestra’s Holley Hall , 709 N Tamiami Trail, Sarasota, FL SILL Sarasota- “Meet the Artist” with June LeBell - Tali Roth with Grammy winner Flutist Carol Wincenc in lecture and performance. Tuesday, June 7th, 2011 The Indian Consulate, 3 East 64th St, NYC Salon de Virtuosi “East Meets West” Tali Roth- solo guitar works by Medina, Piazzolla, Albeniz, Ramirez ; renowned indian artists Samir Chatterjee- tabla with Abhishek Mallik -Sitar. Wednesday, June 1st, 2011 at 8:15 PM Rose Hall Home of Jazz at Lincoln Center, 60th St. and Broadway, NYC Tali Roth with Carol Wincenc Gala fund Rasing for DOROT. Works by Jobim, Bonfa, J.S.Bach,Piazzolla,Albeniz, Ravel, Gossic. Sunday, April 17th 2011 at 2 PM Baruch Performing Arts Center ,New York City Laughing Buddha Presents Tali Roth in a recital following Ms Roth’s playing on sound track of the Woody Allen Film ” You Will Meet A Tall Dark Stranger” . Tel Aviv, Israel “Nights of Spain and Argentina”- Tali Roth and members of Israel Philharmonic with legendary flamenco and castanets artist Silvia Duran and internationally acclaimed Tango Dancers. March 3rd, 2010 at 6:00 PM Argentinean Consulate NYC Tali Roth represents the Argentinean and Israeli NYC Consulates in “A Concert in Celebration of Friendship.” Greetings by the Consuls Generals of Argentina and Israel Hon. Alejandro Bertolo and Hon. Asaf Shariv. Jan. 4th, 2008 at 2 p.m. and Jan. 5th,2008 at 8:30 p.m.
Night of Spain and Argentina With the Silvia Duran company, Argentinean tango dancers Richardo Calve and Kelly Zarfati, and members of the Israel Philharmonic. Tango Flambé, a recital for Close Encounters music series. Tali Roth in concert with Rodrigo’s Concierto de Aranjuez in the celebration of the 10th anniversary of Juilliard Pre-College Guitar Department. Orchestra conducted by Andrew Thomas. The Tali Roth Trio in concert of works by Astor Piazzolla , as part of the spring concert series of the New York City Classical Guitar Society. Spain Night — Tali Roth with Silvia Duran and Company and special guest singer Carin Caspi. Music by Albeniz, Lorca, De Falla, traditional flamenco. Club Coda, 34 East 34th Street, New York. In concert with colleagues at a benefit for Team in Training. Tali Roth will present a mid-day solo recital. In concert as a special guest artist at launching the World Youth Leadership Network at the United Nations. For more information visit http://www.wyln.org/. In concert as a special guest artist at at the launching the World Youth Leadership Network. For information visit http://www.wyln.org/. Ricardo Llorca & the Music of Catalonia, Tali Roth will present the world premier of Ricardo Llorca’s work La Memoria de los Caños. 8 p.m.
Ricardo Llorca & the Music of Catalonia, Tali Roth will present the world premier of Ricardo Llorca’s work La Memoria de los Caños. In concert as the featured performer for the New York City Classical Guitar Society’s Second Annual premiere event. Tali Roth in concert with violinist Leonardo Suarez Paz, bassist Pablo Aslan, and dancers Mariela Franganillo and Jorge Torres. Music by Astor Piazzolla, Agustin Bardi, and Angel Villoldo. In concert with the Doctors Orchestra of Houston, performing Rodrigo’s Concierto de Aranjuez. A celebration of new and traditional tango and Spanish music, featuring internationally-acclaimed tango and flamenco dancers. With the El Salvador Symphony Orchestra, German Caceres conducting. Performances of Caceres world premiere guitar concerto and Concierto de Aranjuez by Joaquin Rodrigo. National Theater, San Salvador. With the El Salvador Symphony Orchestra, German Caceres conducting. World premier of a guitar concerto by German Caceres and Rodrigo’s Concierto de Aranjuez. National Theater, San Salvador. A recital sponsored by the Connecticut Alliance for Music Details. Performing in the American Guitar Society’s International Concert Series. Department of Music Recital Hall. A master class in the Guitarists of the World series. Performing Arts Building.